You’ve done a great job setting up your online store and showcasing your products. What’s left? 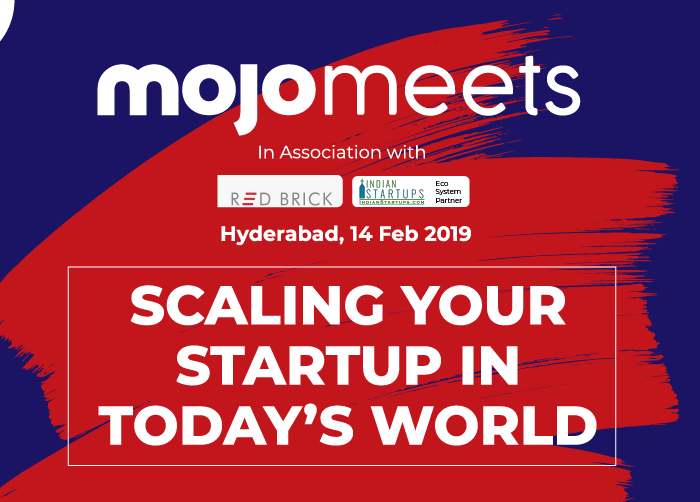 Finding an easy and secure tool for collecting payments via Instamojo. Here’s everything you need to know about how to activate your Instamojo account to collect payments instantly. 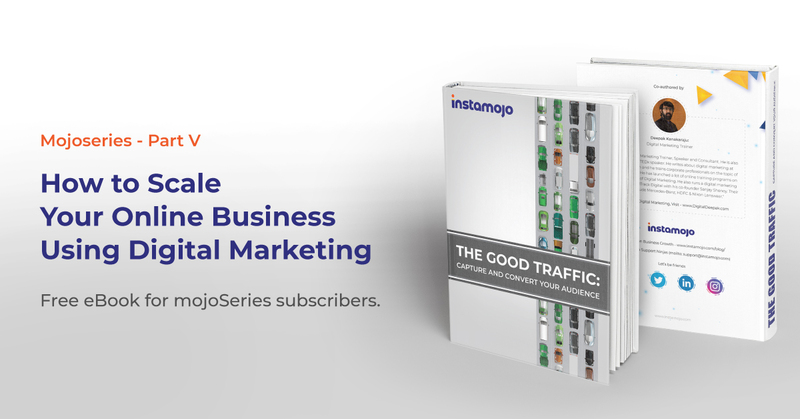 You can create your Instamojo account as either a business or a consumer. You can create an account using either your Google or Facebook account. Once you have signed up, you can click on “Create Payment Link,” on the dashboard. 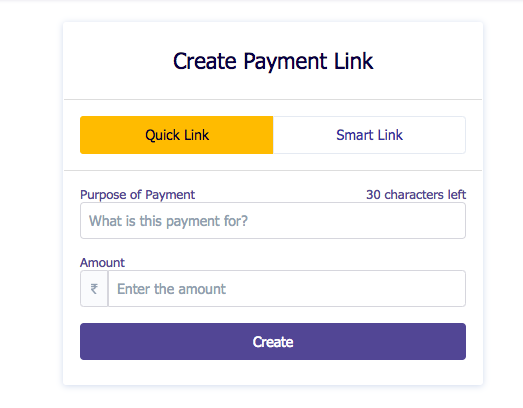 Now, you can instantly collect payments via Quick Links or Smart links. 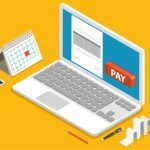 Quick links allow for you to instantly create payment links by filling in the purpose for payment and the amount payable. Now, your Quick Link is ready. You can share this link with your customers via WhatsApp, SMS, E-mail, QR code and more. 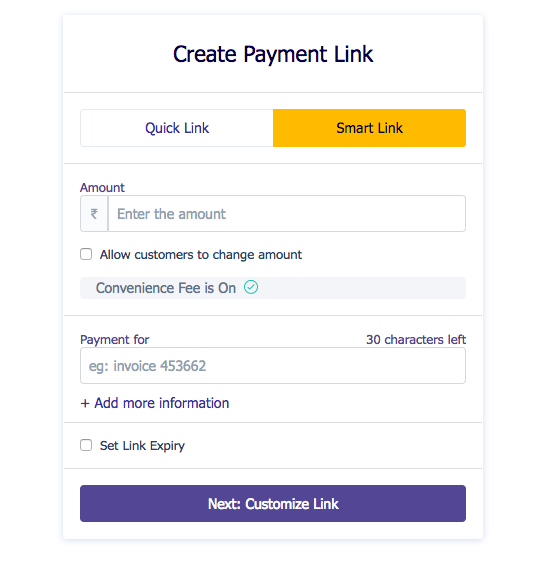 Smart Links help you collect payments, additional customer details, customize your links and more. 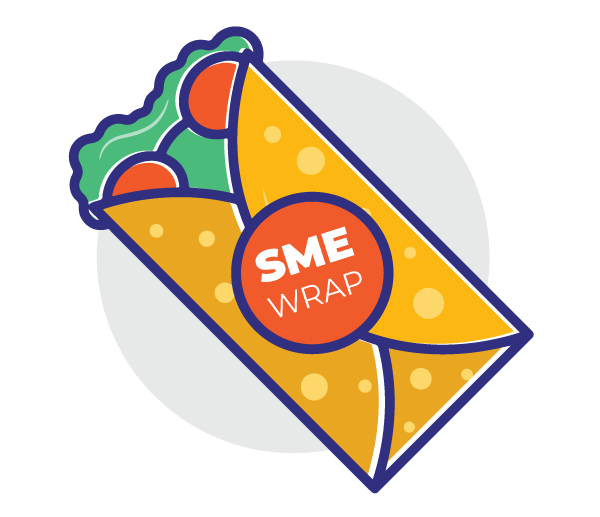 With Smart Links, you can also collect additional information for documentation purposes. If you are a business with regular discounts or seasonal sales, you can also set an expiry date for your payment links. Once done, you can further customize your link. 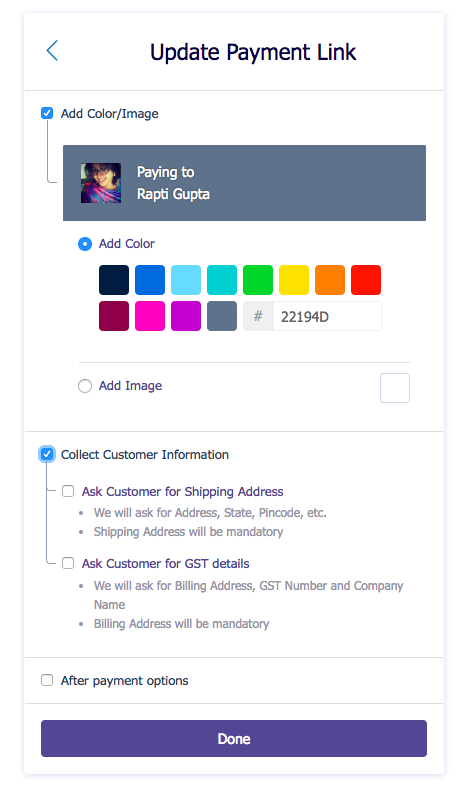 Additionally, you to customize your links to mirror your brand colors, collect shipping details and GST details. 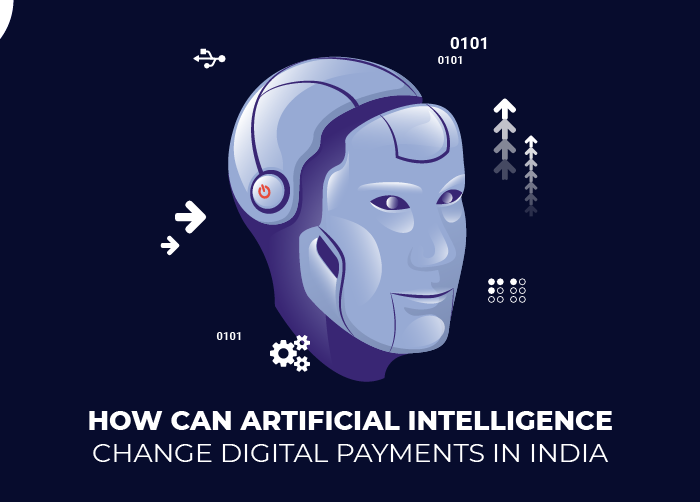 Now, your payment link is ready! 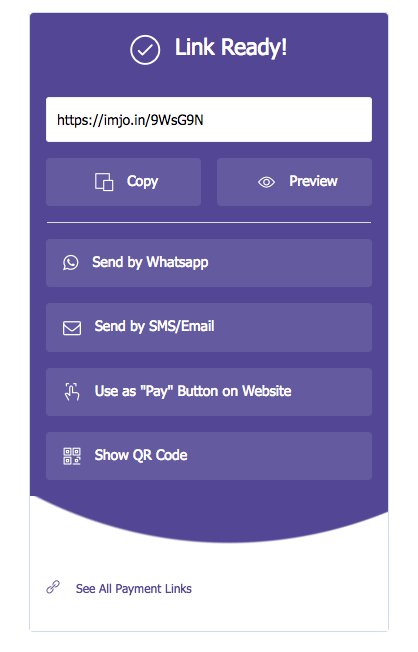 You can also share these payment links via WhatsApp, SMS, E-mail, QR code and more. 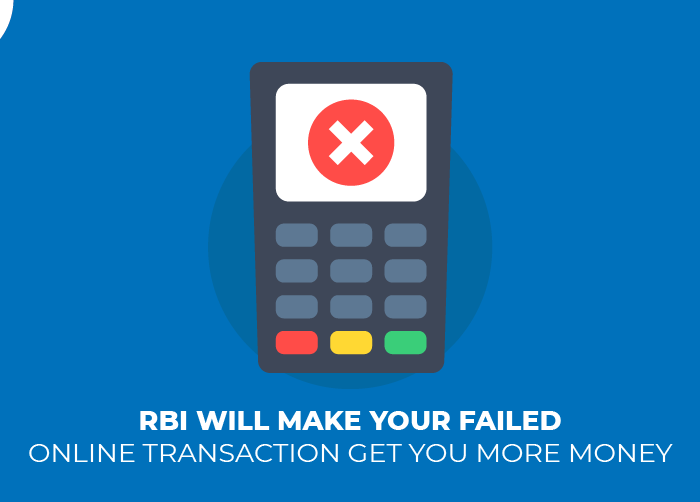 You can now collect payments through multiple modes such as cards, net banking, UPI and more. Additionally, you can share your payment links via multiple channels and to numerous customers, in one go. 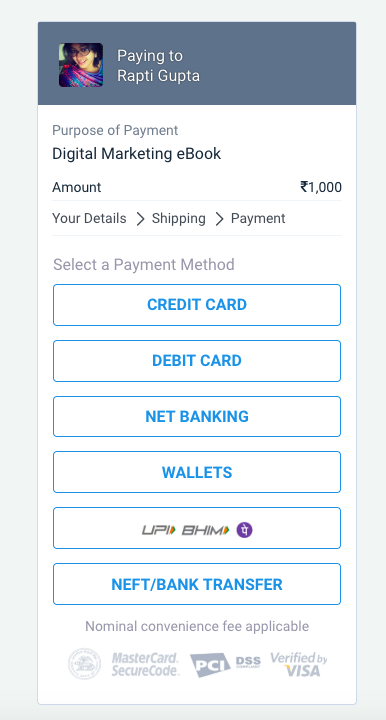 With Instamojo, simplify collecting payments and customer details, in just a few clicks.